I used to really overthink the whole keeping holiday cards thing until a few years ago. I finally got smart and just decided to hole punch the entire stack of cards we received during the year and put them together with some binder rings and finish them off with a little bit of ribbon. I love this simple approach because I can set them out during the holiday season for us to enjoy. The only ones that don’t get saved are really glittery cards because, well…glitter! I always put our card on the top of the stack. 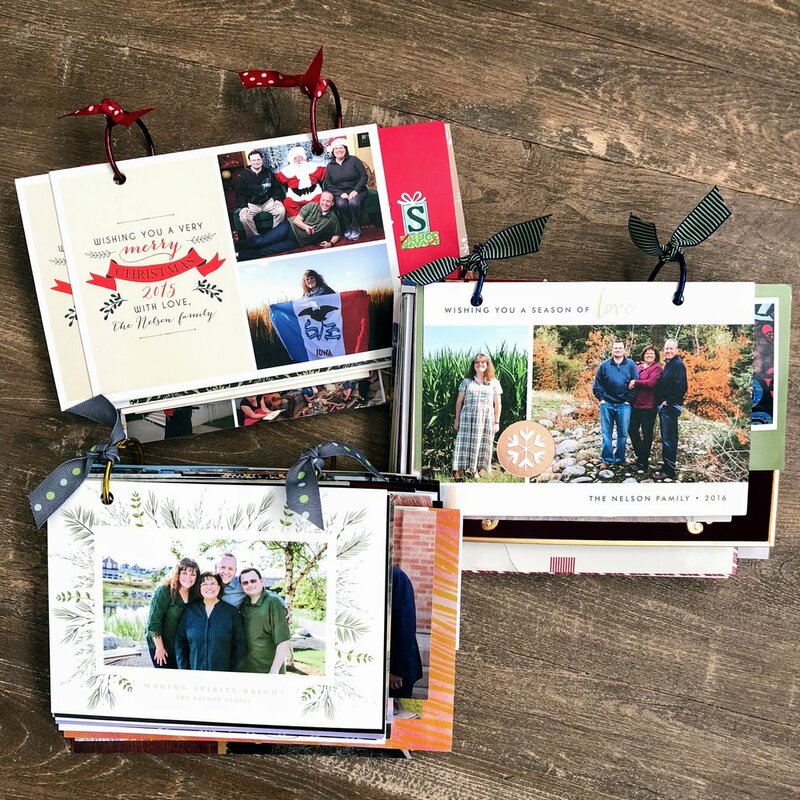 You will notice that I have 2 of our cards on the top of the 2015 pile because that is the year I forgot to proofread and ordered a bunch of cards with the wrong name on them! We kept both versions for laughs. 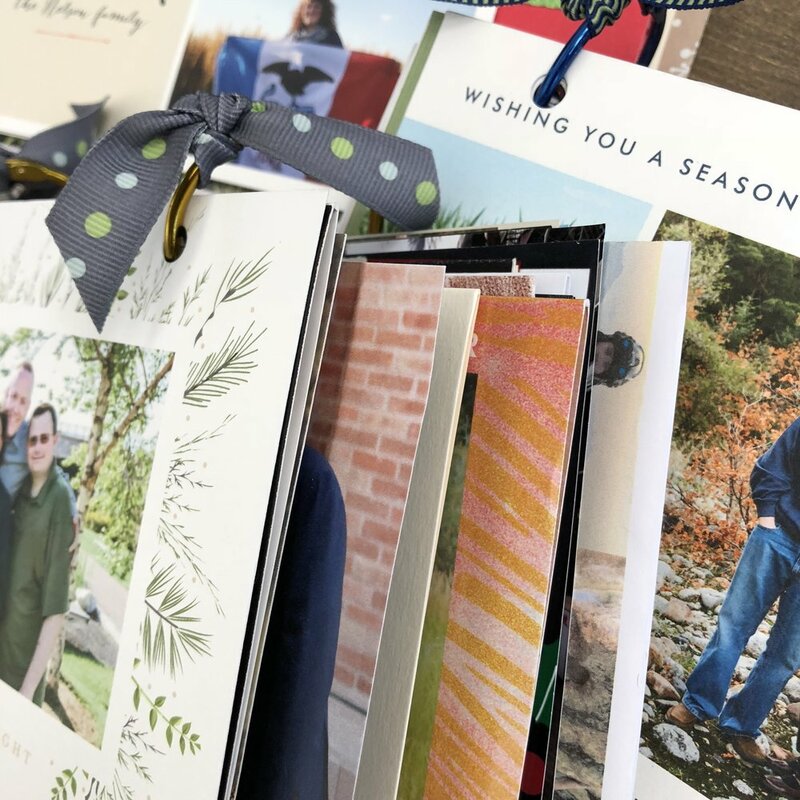 I always order our cards from Minted.com - they are a little pricey, but they are beautiful. I love receiving Christmas cards and my favorite ones always have pictures with them. This seems to be a dying trend but it’s a special tradition for us. Season’s Greetings!